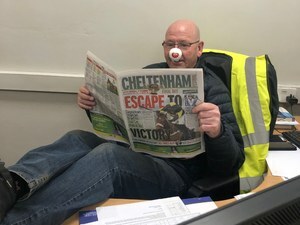 Outstanding Work by the whole Murray's Team who raised over £300 in aid of Comic Relief. 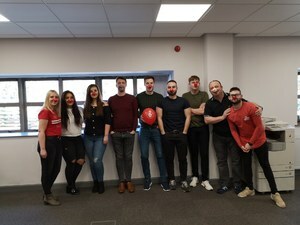 In aid of Comic Relief, the entire Murray's team, including the Plate, Processing, and Structural departments, our non commercial teams, and sister company Hillfoot came together to take part in a day of events and fundraisers, hitting a total of £303 by the end of play on Friday 15th. 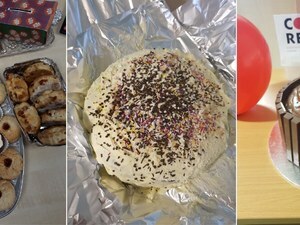 Red Noses, Charity Bakesales, Katherine Ryan's Favourite Cupcake Competition, and Wear It Red/Dress-Down for Comic Relief all contributed to the total sum raised by our UK Sites which will go towards helping poor and disadvantaged people in the UK and the world’s poorest communities. 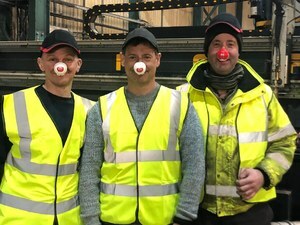 This year over £63,000,000 has been raised for Comic Relief. 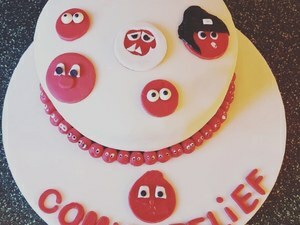 Comic Relief is a major charity based in the UK which strives to create a just world, free from poverty. Originally created by scriptwriter Richard Curtis and comedian Lenny Henry in response to famine in Ethiopia, Comic Relief continues to aid those living in poverty worldwide. Over £1 Billion has been raised since the charities creation in 1985. Sign up to receive the latest industry, product and company news from Murray Steel Products. © 2019 Murray Steel Products. All rights reserved.